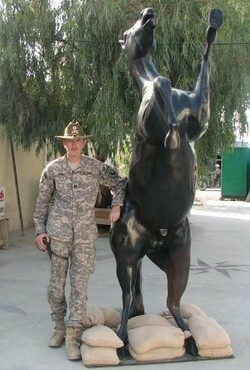 In the U.S. Army, I was deployed in Iraq between 2004 and 2005, and Afghanistan between 2009 and 2010. For training, I've been anywhere from Yakima, Washington to Bovington, U.K -- Fort Meade, South Dakota (we went on a field trip to Mount Rushmore), to Fort Dix, New Jersey. Most of my time was spent in Fort Knox, KY, and Fort Irwin, CA. 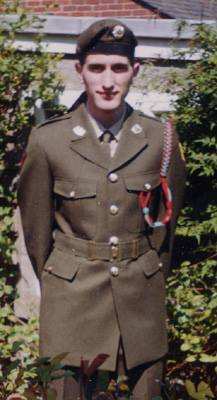 In Ireland, I was a Cavalry trooper, and in Iraq, I led a Tank Platoon. When I served in Afghanistan, I became a Troop Commander/Assistant Squadron S-3 (Operations officer) and I'm currently the S1 (Administrative Officer) for a training unit with the rank of Major. 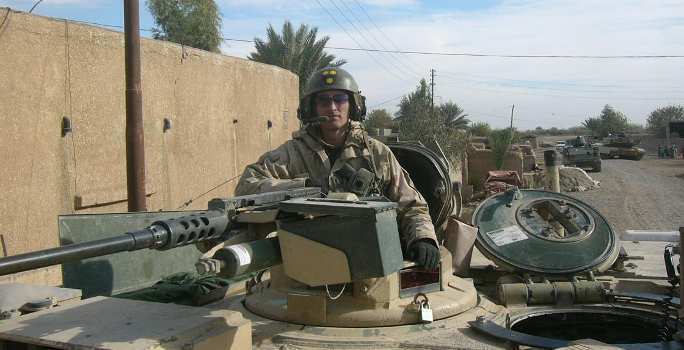 Then there was the traffic accident in Iraq where a local townsman ran into my tank, claiming he didn't see the 68-ton, 10-meter long, three-meter tall hunk of metal, the elation of nailing a very difficult Tank/Track Commander's (TC) engagement with the 25mm and coax on the Bradley (the 120mm on the tank is pure awesomeness, but the 25mm is a sheer hoot to fire). I'll always remember the feeling of riding around from the TC's hatch of the tank. Especially when my tank was just another vehicle in rush hour commuter traffic. Basic Training and OCS will both forever be burned into my memory, as will my passionate detestation for the Fitness Test -- the two-mile-run in a 6 AM deluge in Fort Knox was easily the most memorable of those (which in fairness, I passed). I've eaten on the dirt floor of an Iraqi farmer's house, and the wooden paneled environment of the Royal Armored Corps Officers' Mess in Bovington. Plus being as cold as I've ever been in my life, and so hot I could almost feel my skin melting. I've certainly learned an appreciation for life's luxuries, such as warm showers, or sitting in traffic with the windows down and radio up. And all of this is only a part of the nearly 20 years of experiences I've had while wearing Army green. I won't go into the full list, but the top two individual awards are a Bronze Star Medal with Oak Leaf Cluster, and Meritorious Service Medal. Also at the unit level a Valorous Unit Award (for Iraq) and Meritorious Unit Citation from Afghanistan. What's your job at Wargaming, and has your military experience helped? My official title is "Director of Militaria Relations." In practice, this means that I'm the liaison between the company and the wonderful world of the military. Given that the flagship product is World of Tanks, it was a natural progression to using my real-world tank experience to bring my experience as a tanker to players through my "Inside the Chieftain's Hatch" videos. It has also provided a "working knowledge" of how tanks are supposed to function and feel, which is something I believe the developers of our products have been paying some attention to. Being an armor officer has also made working with the Army much simpler, for example, we were given full access to the Sullivan Cup tank crew competition because the Army were fairly confident that I knew how not to get myself hurt working around tanks, and similarly, the military connection has made my showing up at installations such as Anniston Army Depot (Home of the Army's Center of Military History) or Fort Benning (home of the Army's Armor and Cavalry Museum) for research trips very easy. I think it's also good that players who are veterans know there are people in the company they can contact who can relate to them well.